Pulling the trigger on a high-end exercise bike is a big move. We got fitness devotees in the saddle to learn firsthand how Peloton puts studio cycling classes in their home, on their timeline, and on their terms. We built a mobile pop-up that opened to reveal two curated living rooms scenes where we hosted 27+ events across 9 stops in 8 cities. A Peloton branded vehicle served as a moving billboard to drive awareness. 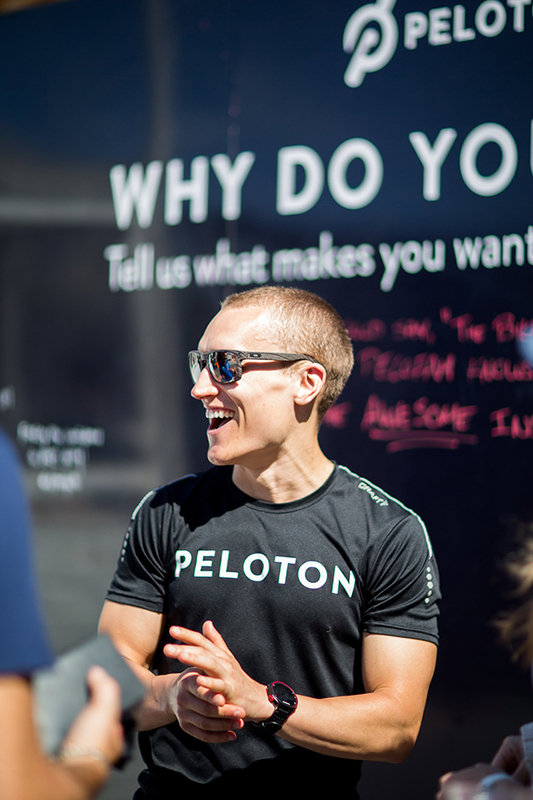 At select stops, we rewarded Peloton loyalists with the chance to meet their favorite instructors face-to-face. A few lucky guests even got to ride with their fitness heroes in person. After their ride, guests grabbed treats at our smoothie bar and picked up a marker to tell us why they move on an interactive wall installation.